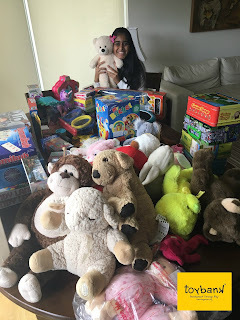 Tridha School children continuously volunteer for Toybank and keep collecting toys from their friends in their buildings and their School. Toybankers Aashray Mody, Neel Sakariya & Aditya Iyer with all their enthusiasm go class to class announcing about Toybank and what we do to create more awareness and encourage children to donate toys in good condition. Hemal, Aashray's mother has been even more encouraging and allowed him to run the Mumbai Marathon for Toybank. Aashray and his friends, Neel Sakariya, Trisha Salva and Adita Iyer have volunteered at Toybank in a couple of our events. 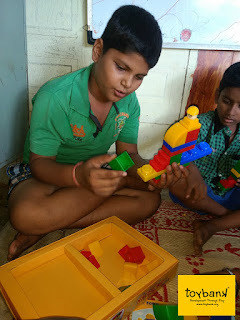 "I enjoyed the work at Toybank it feels good to help the poor & marginalised children .It is overwheelming to help them and give toys to them it also helped in our work and understanding of life. I am happy to help Toybank. I will always like to work for Toyabnk. It is fun to be a part of your team. :-):-):-)"